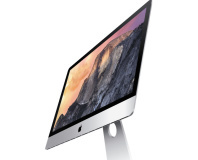 iPad Air 2, Mini 3 and new Mac Minis, too. To launch alongside the iPad Air 2. 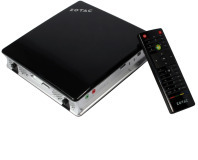 Zotac crams an Ivy Bridge CPU into its latest mini-PC. Is it the perfect media companion? 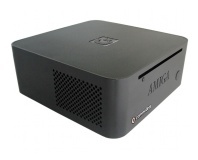 Commodore USA has launched the Amiga Mini, which owes more to Apple than its namesake. 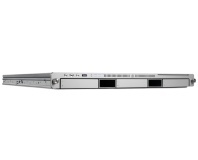 Apple has admitted defeat in the server market, announcing the end of its Xserve product line. 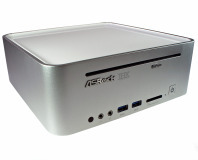 For those who want the quality of a Mac Mini, but don't like the taste of Apple. 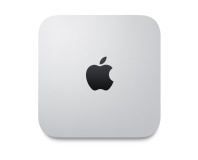 Apple to kill off Mac Mini? Rumours abound that Apple is due to announce the end-of-life for its dinky Mac Mini product line, with no new units being made available. Apple's consumer products get a revamp, with faster specs all round. Think you could fancy a bite? We've got the juicy details. 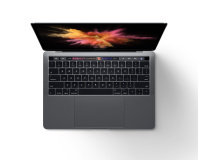 The compactness of the Mac mini has found favour with car modders, who are integrating the tiny Apple into their dashboards, providing in-car iTunes, DVD, GPS and more. Mini. It's what all the cool kids are doing. Imitation is the sincerest form of flattery, apparently. Apple must feel flattered then. Is being a brand name junkie detrimental for your wallet, or is it simply knowing quality when you see it?